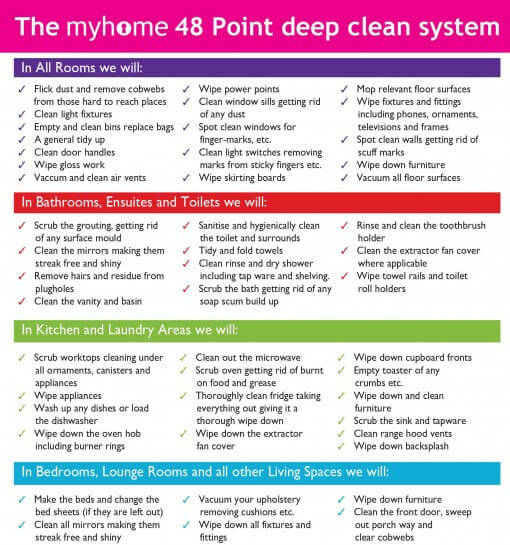 At Myhome, we utilise our scientifically created 48 Point Deep Clean System to give your house the most thorough and systematic clean possible. Just like our Tri-colour cleaning system, we split the rooms into color coded areas allowing us to use the right cleaning products, and cleaning techniques, in exactly the right places. Our unique system ensures your home is cleaned to the very smallest of detail and because we always clean in the same way our highly trained teams know exactly what to do and you know what you can expect from Myhome! 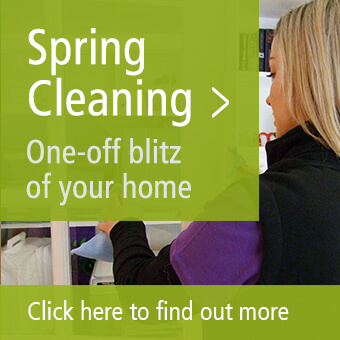 So, if you want the most scientific, hygienic, thorough, hassle free, risk free, value for money home cleaning service there is, it has to be Myhome Cleaning. To find out more or to discuss how Myhome can guarantee you a brilliantly clean home, call us on 13 22 31 for a no obligations chat.